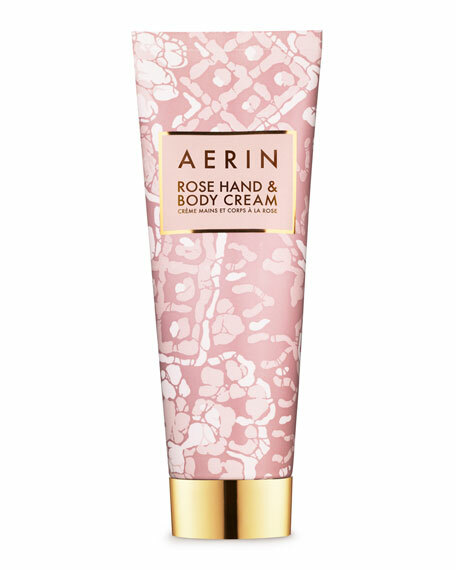 AERIN Rose Hand & Body Cream, 4.2 oz. AERINRose Hand & Body Cream, 4.2 oz. Indulge your skin, and yourself, with a silky lightweight cream that drenches skin with moisture and a delicate rose scent to reinvigorate your spirits, while AERIN's floral infusion of magnolia and peony helps soothe and soften.